At the moment, areas of the site are being overhauled. Check back in a few weeks to see what's new! 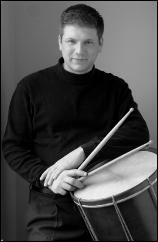 Matthew Bassett is a timpanist and percussionist residing in Cleveland, Ohio. He is principal timpanist for the Cleveland Pops Orchestra and timpanist/percussionist with Apollo's Fire (The Cleveland Baroque Orchestra). A percussion educator with over 15 years of experience, Mr. Bassett currently teaches percussion and timpani at Case Western Reserve University and Cleveland State University. 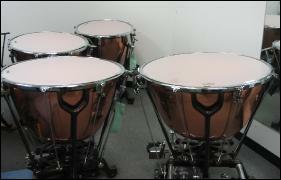 Matt also repairs percussion instruments and specializes in timpani stick re-wrapping. This site contains information regarding all of Mr. Bassett's professional activities. In addition, there is a collection of resources, photographs, and links that will be of interest to anyone involved in concert percussion.